In 1984, motorcycle enthusiasts in Atlanta came together to help a young girl and her family. Shaye Sauers Kilby had been diagnosed with a brain tumor and at five months old underwent total brain radiation. Inspired by Shaye’s battle, these motorcyclists hosted the first Ride for Kids event and sparked a movement in the motorcycle community that led to the founding of the Pediatric Brain Tumor Foundation, the world’s largest nonprofit dedicated to children and teens with brain tumors. This year, Ride for Kids will celebrate its 35th anniversary with 27 rides from coast-to-coast, starting with the SoCal Dual Sport and Adventure Ride for Kids on April 14 and concluding in October with the Los Angeles Ride for Kids at American Honda’s headquarters. 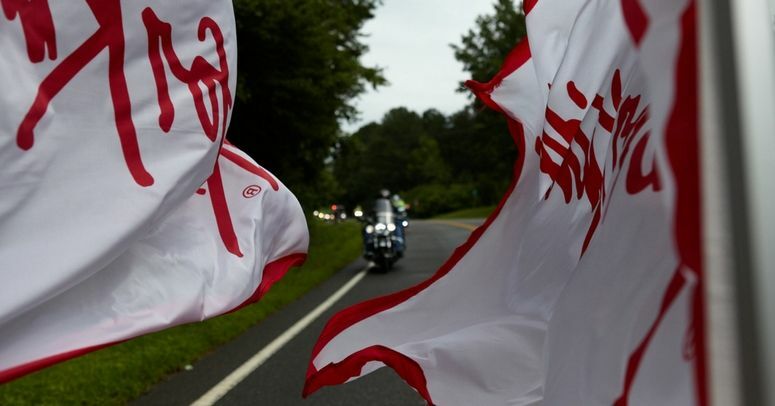 The inaugural Ride for Kids in Atlanta will host its anniversary ride on June 3. Because of Ride for Kids volunteers and fundraisers like Stevens, the PBTF has been able to fuel research into issues such as personalized treatment strategies for DIPG. It has also helped advance the field for tomorrow through Early Career Development grants to researchers like Pratiti Bandopadhayay, MBBS, PhD, an instructor in pediatrics at Dana-Farber/Boston Children’s focused on identifying and testing combination therapies for medulloblastoma. “In 35 years we’ve made great progress and helped a lot of families along the way. But there is still so much we need to do,” says Steve Squire, associate campaign director for Ride for Kids. To help make this year the brightest yet for children with brain tumors, volunteer leaders from Ride for Kids recently came together at the PBTF’s annual Volunteer Leadership Conference. There they heard about the foundation’s latest family support and research initiatives and collaborated on event planning. Join the movement and register for a ride near you. 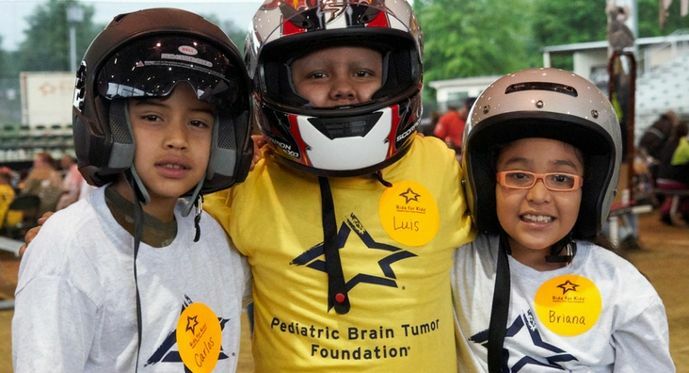 There’s no charge to ride, but raise $50 or more and receive special fundraising incentives like T-shirts, jackets and a chance to win a new Honda motorcycle as our thanks for helping children with brain tumors. American Honda is the presenting sponsor of Ride for Kids. Cycle World magazine is the lead national media supporter of this American Motorcyclist Association-sanctioned event. Additional national and local sponsors provide critical support to our rides. Find a ride near you at www.rideforkids.org or contact us at 800-253-6530 and info@rideforkids.org for more information.